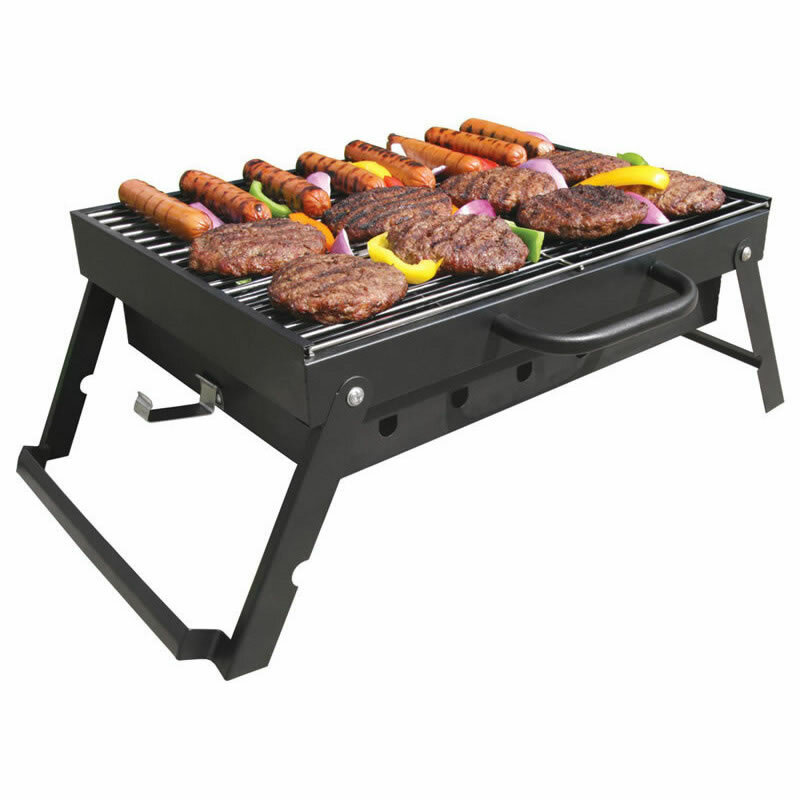 The portable grill that feeds a crowd. Unfolds & Ready to Grill in Seconds! Grill upto 12 Burgers an one time. Folds up for easy portablility and handle on side makes for easy carrying.